It started way back in June 2010. 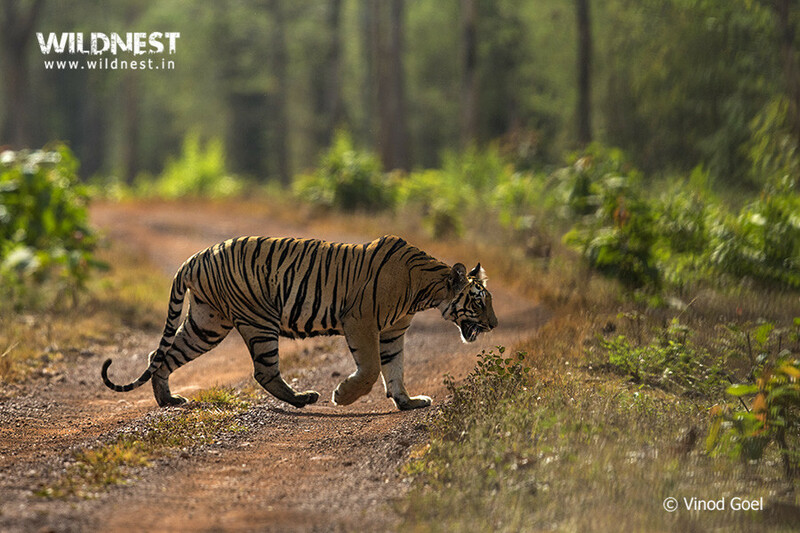 Tadoba Andhari Tiger Reserve had just started coming in the limelight due to its frequent tiger sightings. We had plans to go then and I was all packed and ready. But one day before we were supposed to leave I found out I was on my family way. It had been 5 years since and I had been to numerous other sanctuaries and parks since Ayaan (my son) was 2 years but Tadoba continued to elude me like it was some forbidden fruit. Numerous stories of different sightings by my father and younger brother only increased my curiosity more and more. So this May 2015, when I got the chance even the high temperatures of 50+ degrees C could not have shaken my resolve. During the six days of safari, my mom and me decided to go only for the morning ones as it was too hot in the afternoon and I did not know how Ayaan would have handled the heat. In the first 5 safaris we had already seen 5 different tigers, a sloth bear, a rare tree shrew (squirrel like animal), chausingha (a very rare and shy deer), spotted deer, barking deer, sambar deer, nilgai, gaur, numerous birds such as Asian paradise flycatchers (male, female, juvenile), Indian pitta, grey jungle fowl, Indian roller, kingfisher, changeable hawk eagle and many more. Just before we began our last safari, we asked Ayaan what he liked the most? and he innocently replied “I like Tigers and I want to see 10 tigers before we go back”. I asked him to pray for it and he did. And then the magic started. Our prayers were answered and the forest opened up, to us, to reveal its secrets. It started with a sloth bear sighting, followed by 4 different tigers at different places, then another sloth bear (This place has to be a sloth bear haven, almost impossible to see them anywhere else) and lastly a pair of male and female tigers in courtship. Our little wild lifer’s joy knew no bounds. Anyone who has been in the wild knows the importance of a tiger sighting and we had seen 11, one more than my son’s wishes. Here I am sharing a few of my pictures, clicked from my point and shoot camera, taking you through our journey in the Tadoba wilderness. I have added few of my father Vinod Goel’s, and brother Bharat Goel’s, (both are known Wildlife photographers) pictures to complete my story. Hope you will enjoy seeing them as much as I enjoyed clicking them…. Also Read: Trip Report by my father of same trip.